Nashville and the surrounding area is full of some of the most beautiful and diverse venues. If you are planning an event, you really can find any vibe of venue that you are looking for. 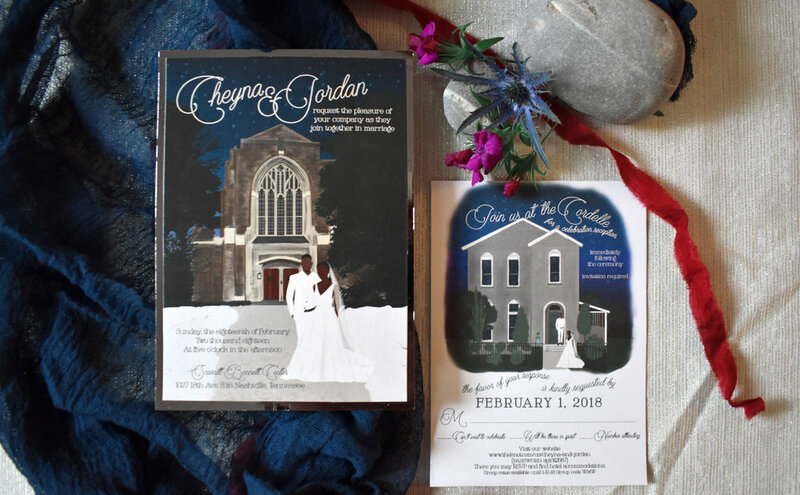 I have been lucky to work with several clients who value the beauty of their respective venues so much they put them on their invitations. I love to draw and have realized that I am slowly but surely making my way around Nashville through illustrations. The latest, Graystone Quarry (above), is such a gorgeous and peaceful place with an amazing waterfall surrounded by beautiful gray rocks and an amazing space to celebrate in. The invitation for this illustration is currently still in production! I love these illustrations and how they came together to become the invitation. Scroll to the right of each to see the final product. Arrington Vineyards is one of my favorite places in the Nashville area. My husband I and went on our second date there and also got engaged there. The scenery is so pretty. Carnton Plantation was one of the first venues I was familiar with upon moving to Franklin right out of college to be the art director of a magazine there. The plantation and surrounding area is very pretty and perfect for a Southerner. The Cordelle is such a great space because it’s a gorgeous blank slate to really create whatever you want. 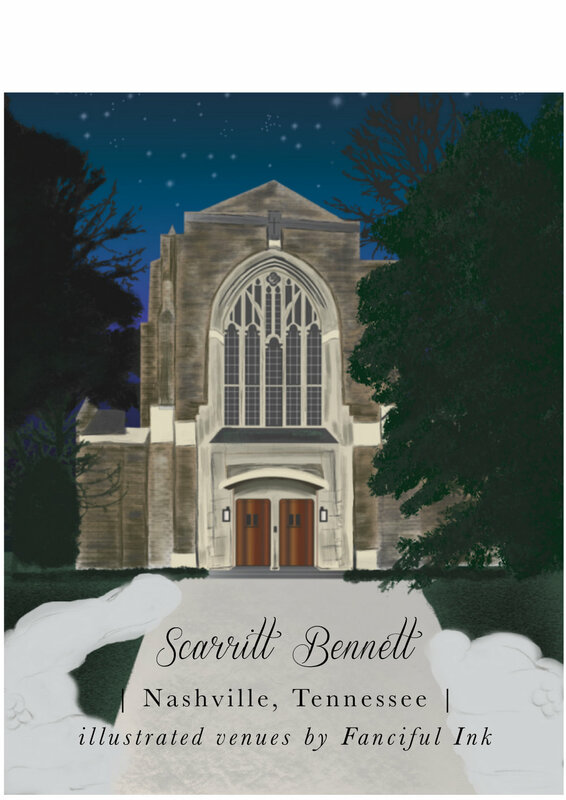 I have never been to Scarritt Bennett, but the inside reminds me of the pretty churches throughout Europe. I love this sweet little barn! Here are other venues that I have drawn - I’m sure there will be more to come! Fanciful Ink has moved! While East Nashville was home for several years, we are downtown dwellers now! You can find me on 5th & Church inside Modern Trousseau Nashville’s bridal shop. I love that, as a bride, you can come in to find your amazing gown and then come back to our space to check off more boxes : Floral, Photography & Hair and Makeup. I am joining forces with some really amazing women and boss babes in the wedding industry. I have worked with them before on the “Fresh and Moody Vibes at Venue 142” shoot and the “Celestial Deep Love” shoot. I have to say, we do some powerful work together and I am so excited to share a gorgeous space with (from L to R above) Danielle of Stella Rose Floral, Amy of Wilde Company and Katie-Laine of Katie-Laine Makeup + Hair. We have a beautiful, relaxing space where we can all work and collaborate and just be creative together. That amazing wall we are standing in front of was painted by Danielle and it is sooo gorgeous! I have lots of invitations on display and I would love to welcome you anytime! If you are interested in stopping by, you can make an appointment here. We will be having an open house in the coming months, so stay tuned for that. In the meantime, check out the wonderful work of my new studio mates! Spring is 5 days away and I think everyone is craving a fresh new season of color. I love winter but when the Spring Equinox rolls around each year, it’s such a nice breath to lighten up everything with soft colors from nature. 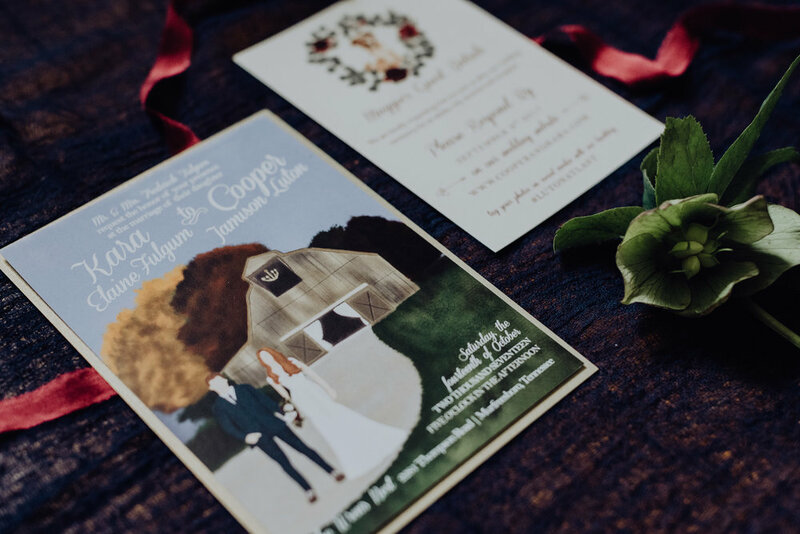 It’s no secret that I love florals and I firmly believe that they are amazing to incorporate into your invitation any time of year. Ironically, I can’t keep a plant alive for very long, so the drawn flowers are best for me! When couples are deciding an overall aesthetic for their wedding and want to have a natural feel, lavender is a great color to add softness and elegance. The first month of the year is usually full of energy to start off on the right foot, set goals and really be excited about the fresh new year. If you are planning a wedding and 2019 is the year you get married, you already know there are so many details that go into your big day and it truly does take a team of dedicated friends and family around you. An important (often overlooked until the last minute) detail is a gift for the special people who are standing next to you on your big day. Over six years ago when I got married, I gave my bridesmaids pearl earrings and fur wraps to wear on our wedding day; our groomsmen got tie bars to wear as well. While I think it is great to give them pieces to wear on the big day rather than expecting them to buy more than their dress and tux, I do wish I had added a little detail for everyone that was personalized. Having something you can cherish beyond one day is a sweet memento to your wedding party to remember your friendship, not so much your wedding day. I was sent a beautiful personalized display box that I currently have a stack of special bracelets in from the ladies’ version of this site, Bridesmaid Gifts Boutique. There are so many beautiful options on their site that I would love to receive and love to give. I’m a southern girl, so I do love a good monogram but their personal cartoon cups are so cute! For a good, lasting gift, I really love the rose gold edging on this glass box I was sent. The etched flowers are so pretty and remind me of designs I draw for floral invitations. I love having my name personalized on there as well, it just adds a little extra pizzazz. The box is amazing too because my special jewelry that I keep on my bedside table can be contained and organized while looking good. I don’t have to worry about a clutter of bracelets and rings, I can just put them in the box and it looks like special treasures! Groovy Guy Gifts, their brother site, has a plethora of amazing options for men (though the copper mule mugs and whiskey stones are good for the ladies too!) from cuff links, to barware and cool bags. Hopefully you can check off another wedding to-do task by going to either of these sites and finding something really special for those that are special to you. Sponsored Post by Bridesmaid Gifts Boutique. The gorgeous sunwashed rustic venue of Meadow Hill Farm feels like you stepped into the Tuscan countryside. Their gorgeous cocktail garden and lush landscape is such a beautiful setting any time of year. It was the perfect place to have an intimate Italian garden feel in colors of oranges, golds and greens. For the invitation, I wanted to keep a soft washed look with fresh herbs and a rustic feel. I first drew washes in hues of yellow and oranges and added a bit on the top and bottom and then a full wash on the back. Each piece had a different herb on it that I drew. I used an asymmetric alignment for the pieces for a fresh and casual look. The edges were deckled to complete the rustic look. Copper menus at each place setting also carried the herb illustrations through the tablescape. For the place cards, we wrapped a piece of brown paper around a baguette with calligraphy at each place. The seating chart was very fun to create. Tiles that were reminiscent of sun-washed colors were placed in a small trellis folded out. Each tile had calligraphy on it with a table number tile in the center. The tiles was surrounded by moss and bits of florals. The cake design from Copper Whisk Cakes was a reflection of the tile design which pulled in those colors and elements. Every aspect of this was airy and dreamy, simply beautiful! 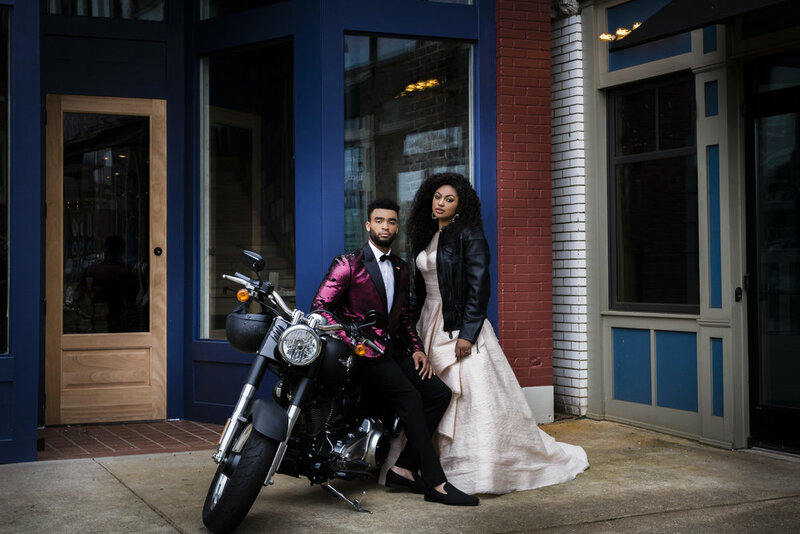 This was a styled shoot where Nashville creatives in the event industry came together with a vision to create something in our own styles. This will be published on Grey Likes Weddings blog in April of 2019, so keep your eyes peeled! It is now what is known as “engagement season” in the wedding industry. Couples typically get engaged around this time of year - from Thanksgiving to New Years. This is really a wonderful time of year because at some point, you will get to celebrate and show off the new jewel around friends and family. It is inevitable that you will get question upon question about your upcoming nuptials. Where will it be? Is your second cousin twice removed invited? Are there kids invited? What color will your bridesmaids wear? For you as the bride, it may get a little daunting. There will be a ton to do, but you may not know what to do first. Follow these 10 steps, relax and enjoy this special time in your life! 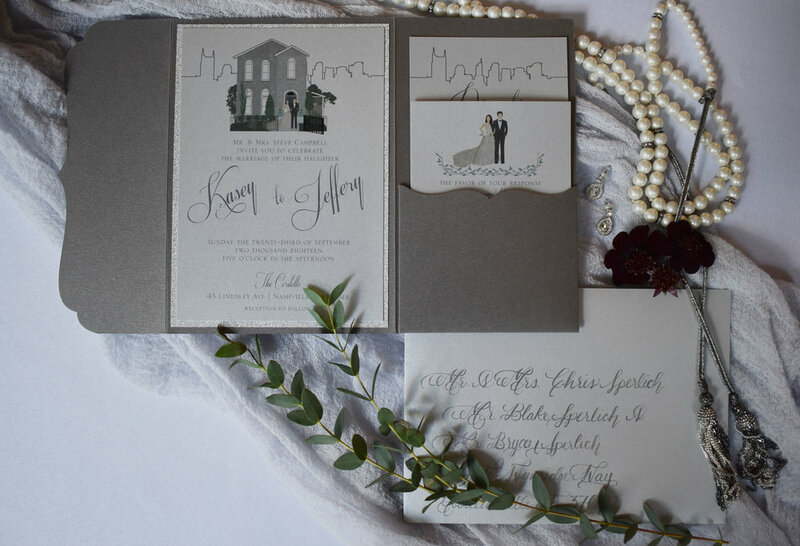 As of late, I have been creating elegantly earthy designs for several brides. I have found that botanical prints, especially in a sketched leaf wreath form, have taken my clients by storm. 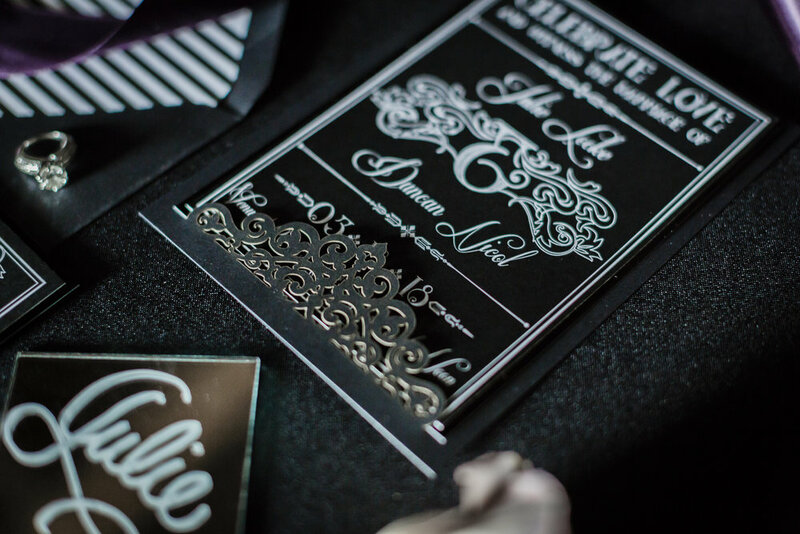 I really love getting to draw out wispy wreaths or beautiful flowers to adorn the details of an invitation. 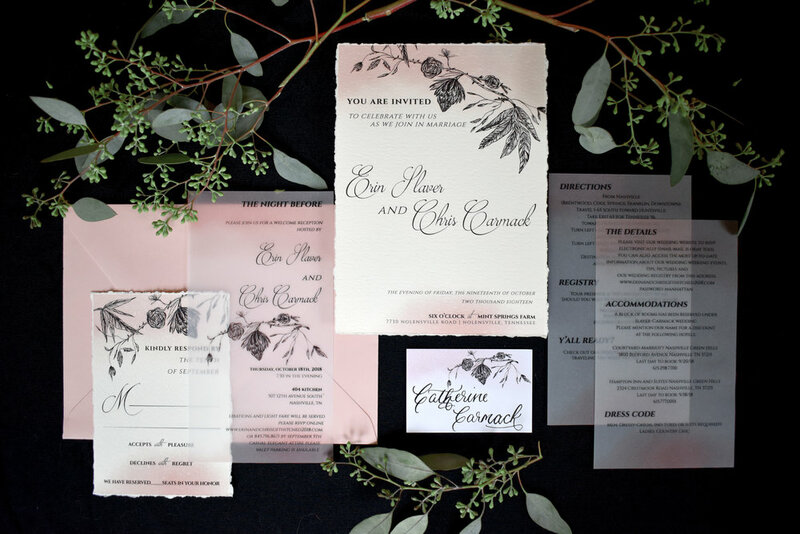 These are just a few of the many botanical inspired invitation suites that I have created lately.